Your college cafe food may be amazing, awful, or somewhere in between. No matter where your college falls on that spectrum, you're going to want to eat in your college dorm room sometimes. And of course there's also the problem that even if you want to eat in your college cafe, your schedule may simply not allow you to because it doesn't match up with the schedule of the college cafe. Don't think that you're limited to eating Ramen and Macaroni and Cheese in your college dorm room. Add some variety to your college cooking with our Collapsible Square Mini Colander! 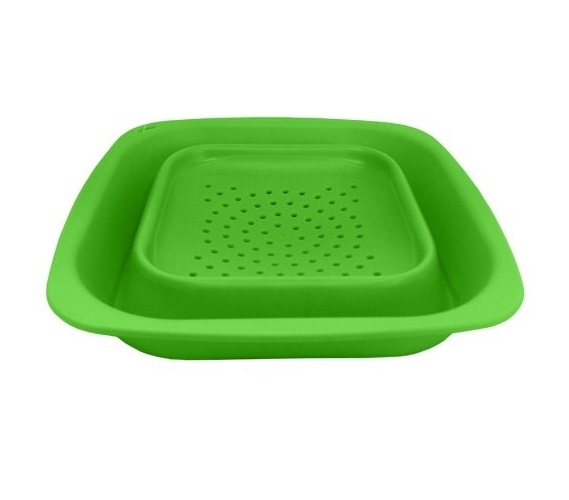 Our Collapsible Square Mini Colander is a cheap dorm supplies product that is basic and will come in handy. It collapses into a flat compact square which means this dorm essentials product is going to be incredibly easy to store. It will also expand your college cooking options. With this Collapsible Square Mini Colander, you can include other pastas in your college cooking menu and have more than just Ramen and other cup noodles. After all, while you may love Ramen, you're not going to want to eat it every day of the week or even multiple times in one week. 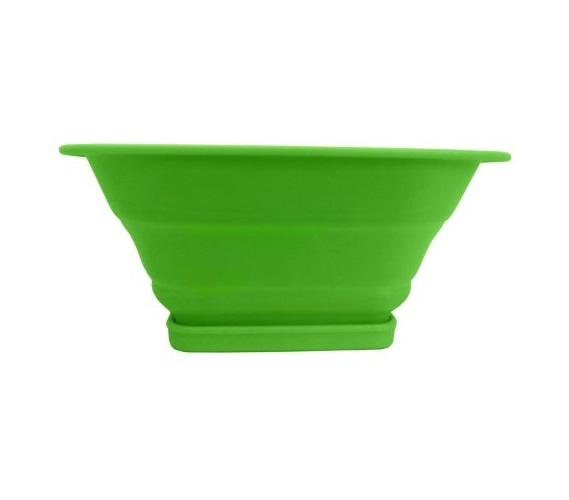 This college supplies product is perfectly sized to drain pasta noodles for just yourself so you don't have an extra large colander in your dorm room storage that you may not use. Who knows - with the right cooking dorm items, you may find that you prefer eating in your college dorm room instead of the college cafe!